Alices fantastic adventures lead her straight to some of the most memorable characters ever imagined including the Mad Hatter, the Queen of Hearts, Humpty Dumpty, the Cheshire Cat, Tweedle Dee and Tweedle Dum in the original Alice in Wonderland. 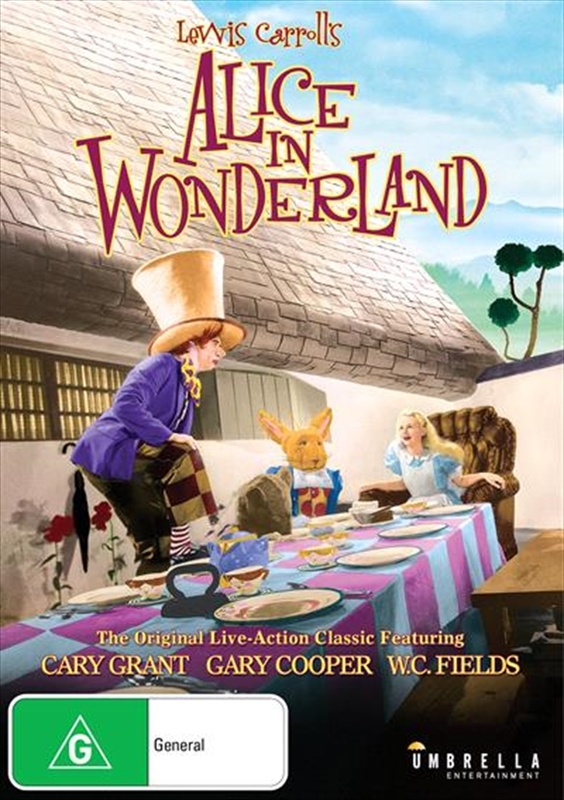 Based on Lewis Carrolls beloved story, this live-action fantasy features Hollywood icons Cary Grant, Gary Cooper and W.C. Fields along with Charlotte Henry as Alice. Filled with spectacular sets and imaginative costumes, the classic Alice in Wonderland is a timeless adventure for the whole family!